What an amazing birthday present. 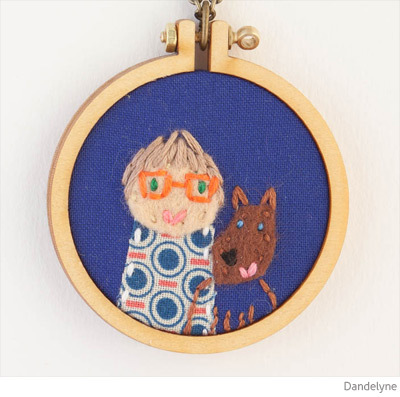 Four of my lovely girlfriends got me the most thoughtful gift - a custom family portrait and necklace embroidered by the supremely talented Sonia Lyne of Dandelyne! 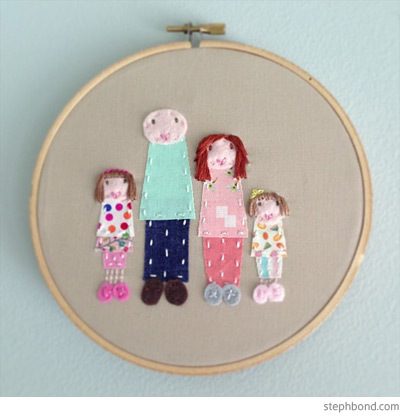 Here's my family portrait - so cute! 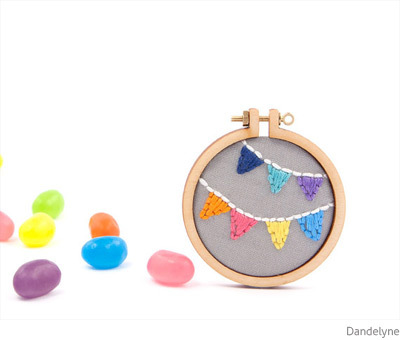 Based in Melbourne, Sonia creates embroidered mini artworks on 4cm and 5.5cm hoops that can be worn as necklaces or brooches. 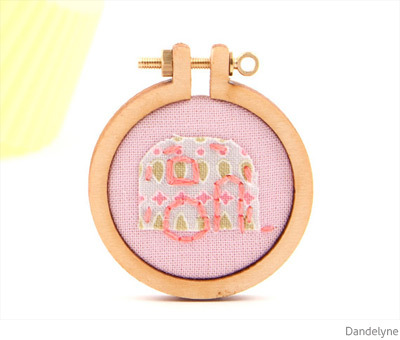 Some of the great designs include bunting, bicycles, clouds and rain, and the cutest ever vintage caravan. 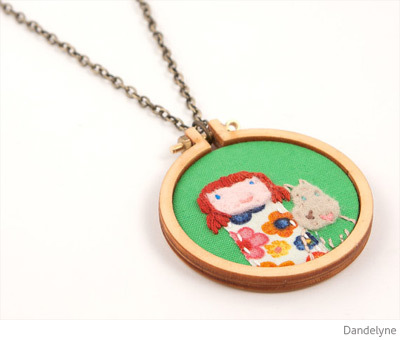 Sonia also creates larger custom-designed pieces featuring your nearest and dearest (including pets!) that will be cherished for generations. Her artistry is impeccable and Sonia is super-fun to work with, pouring lots of love and special attention into her pieces. Thank you so much Carmen, Estelle, Linda and Renay for my gorgeous pieces, and to Carmen for organising such a special gift! 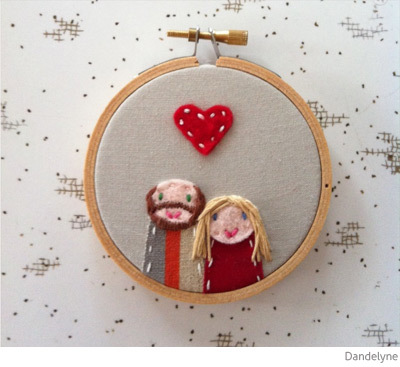 You can find Dandelyne embroidered works in the online Etsy store as well as stockists in Victoria and online. I absolutely loved doing this for you. Such a beautiful family ... and friends ^_^. 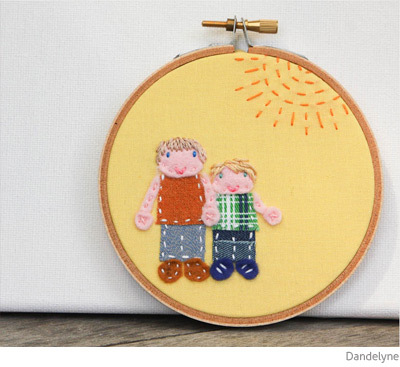 Thank you for sharing my work. I can't wipe the smile off my face.